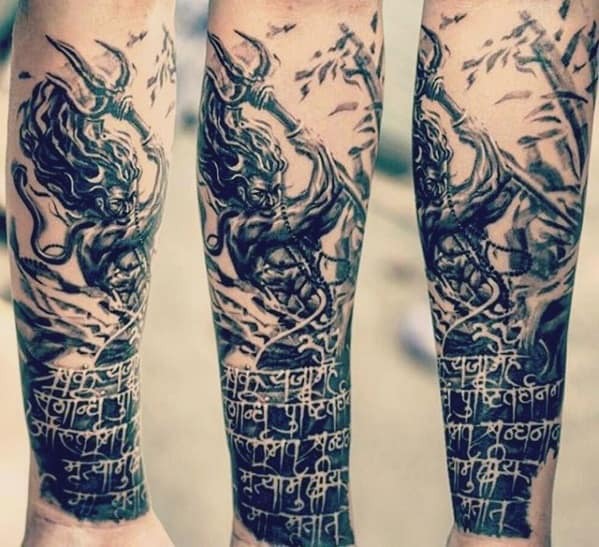 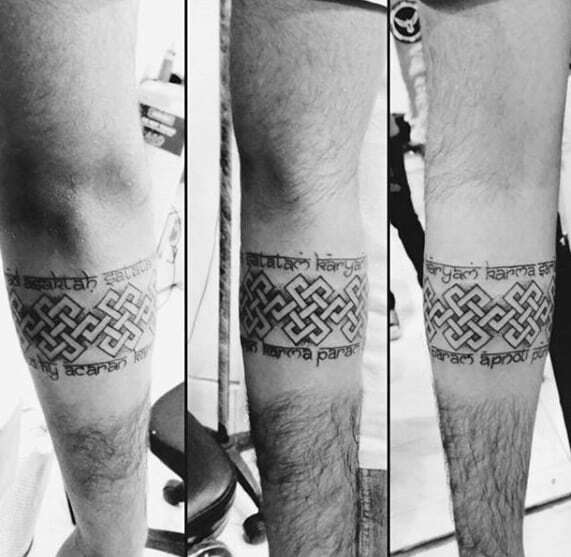 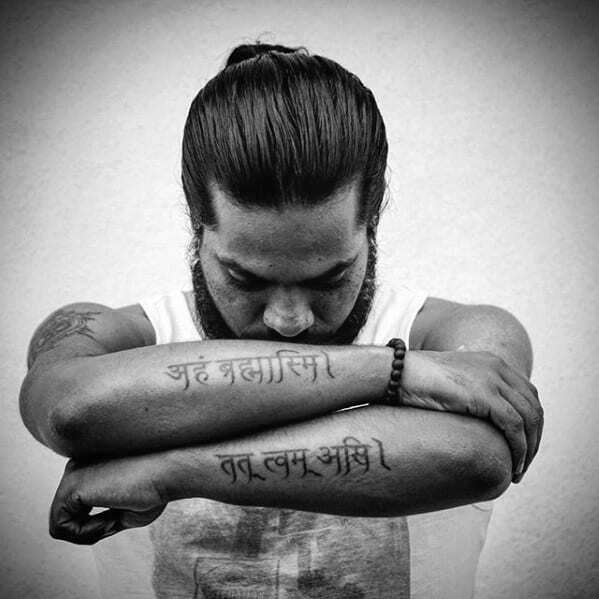 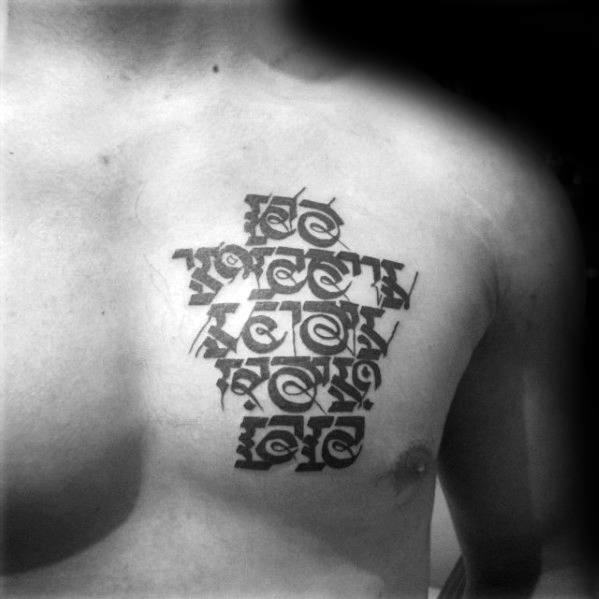 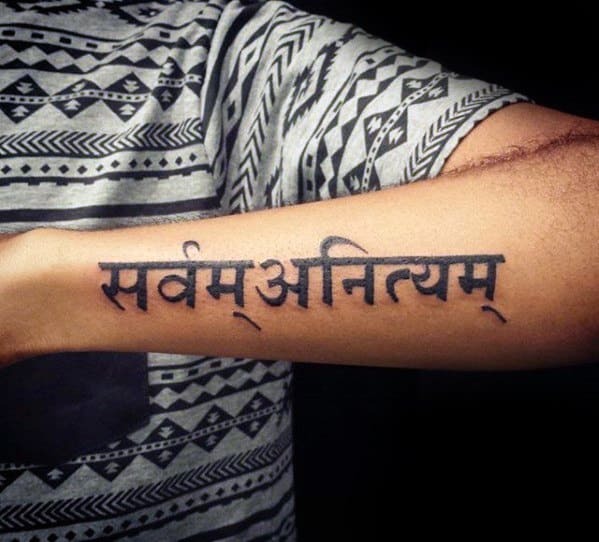 Sanskrit tattoos are beautiful but complex designs, as they deal with ancient concepts and fonts that must be understood to be applied properly. 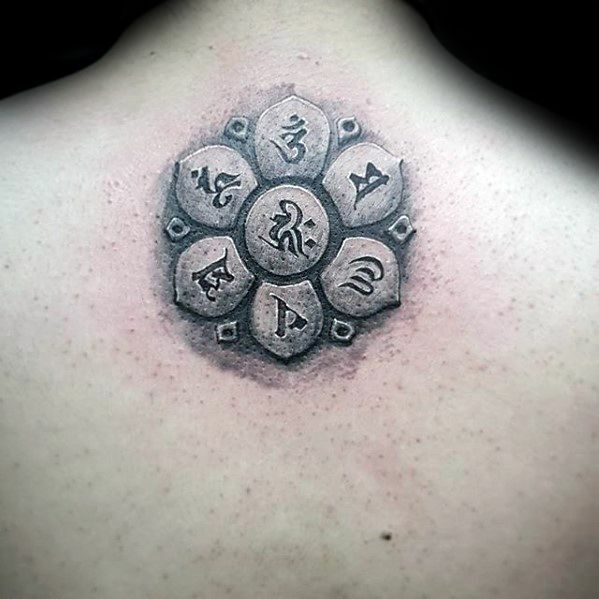 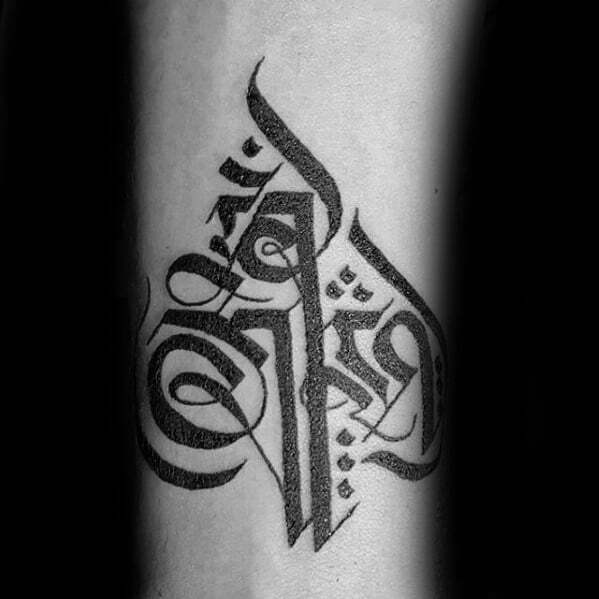 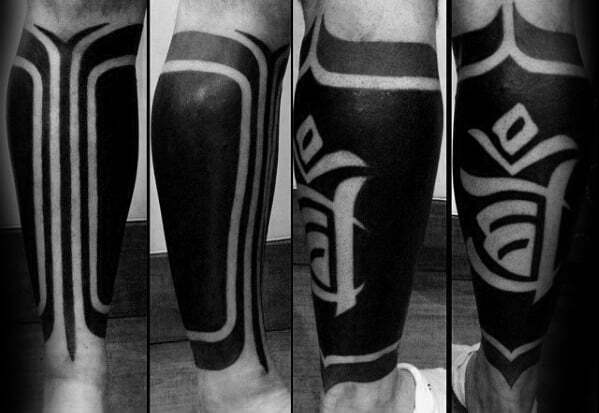 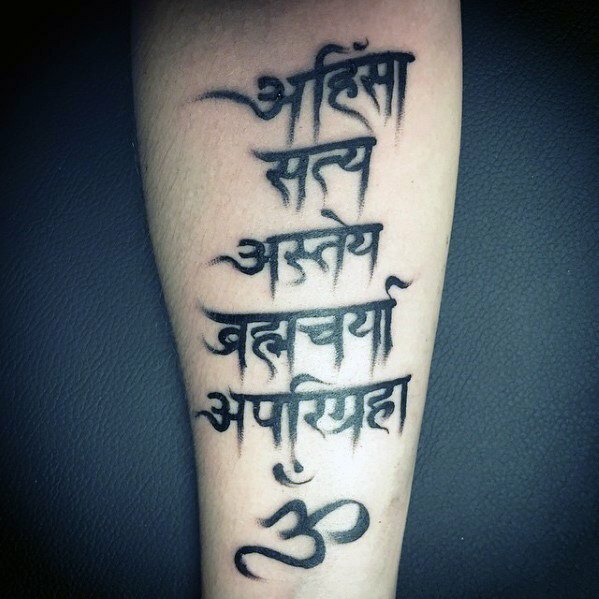 Guys in the market for a Sanskrit tattoo should seek out an artist who has expertise in this specific style. 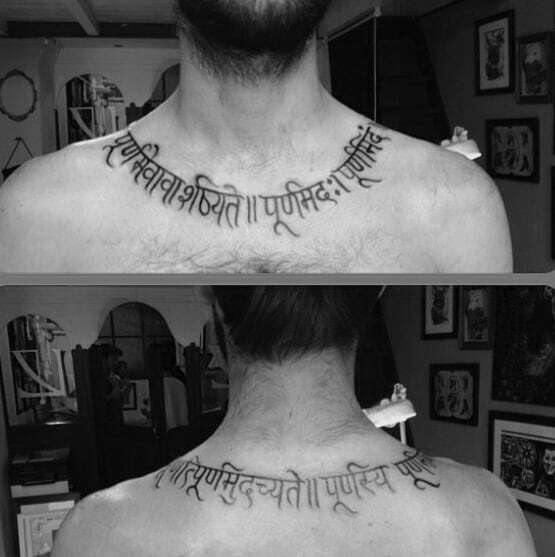 One reason it’s so important to find an artist with experience working up Sanskrit ink is the context shifting within this written language. 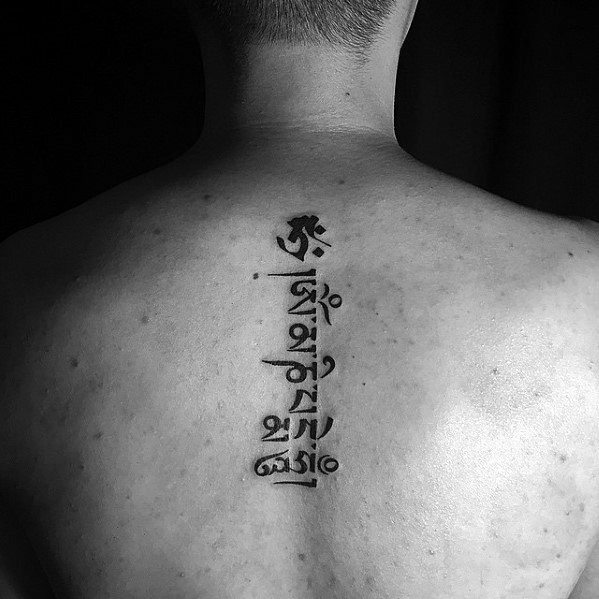 Depending on how each letter or word is written, the meaning and sound behind individual letters can change dramatically. 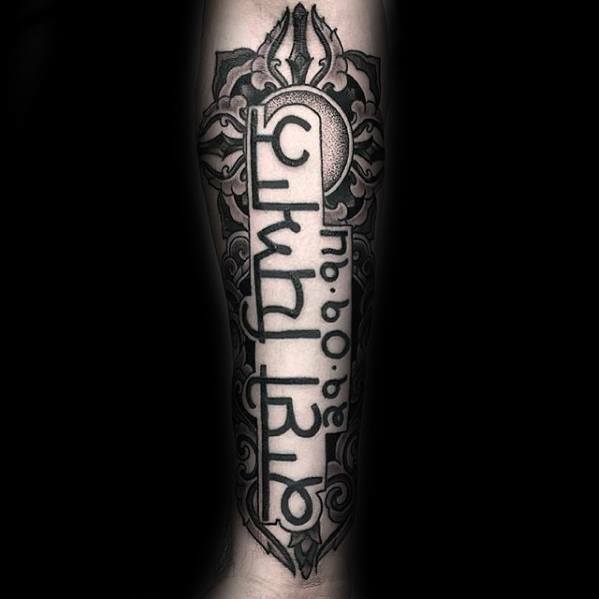 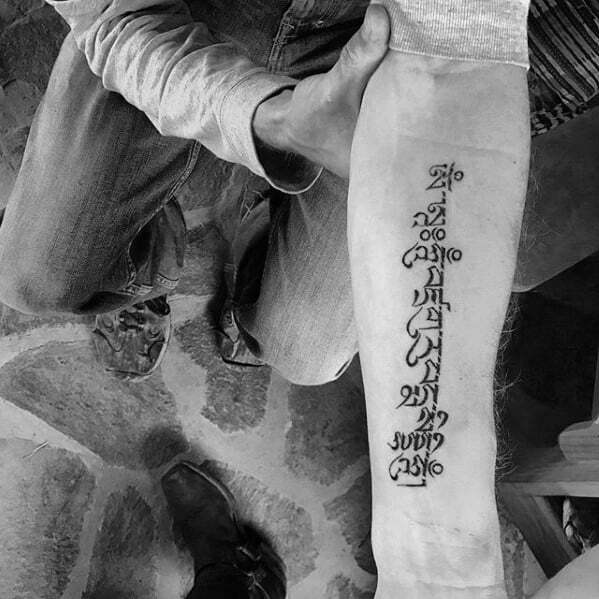 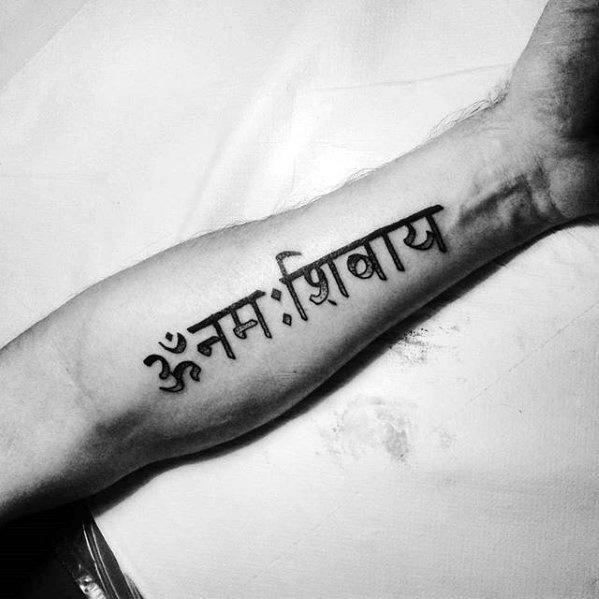 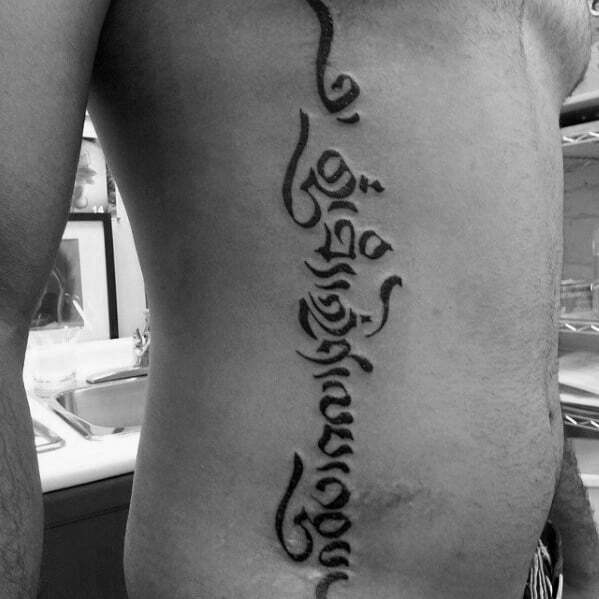 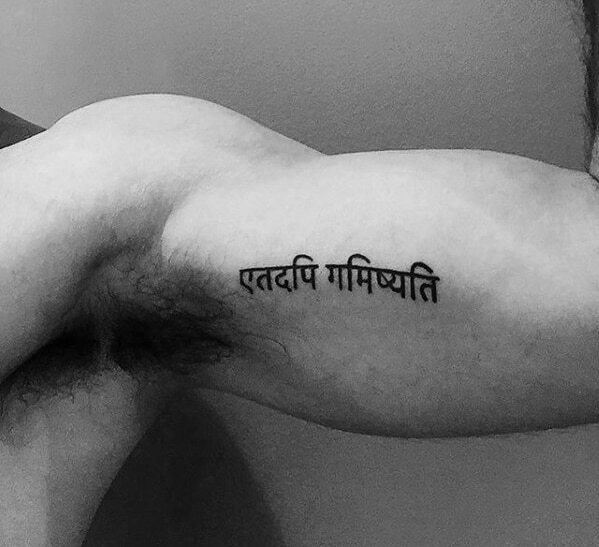 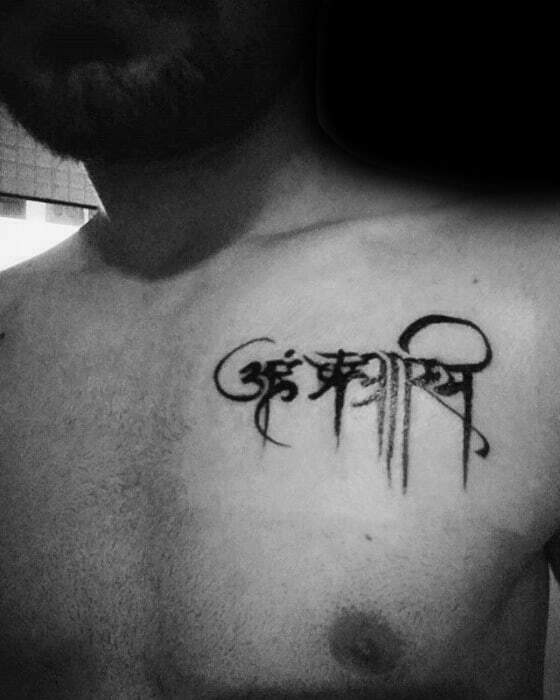 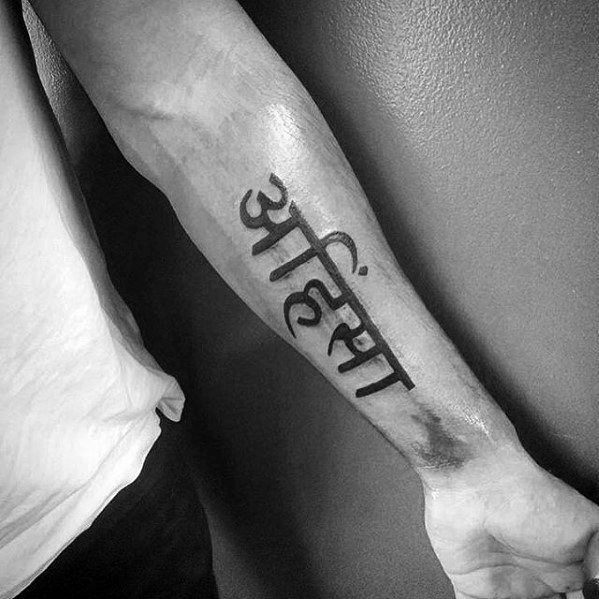 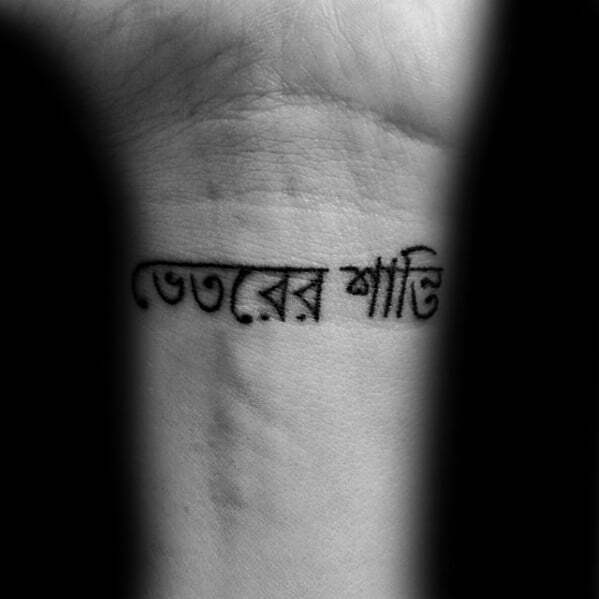 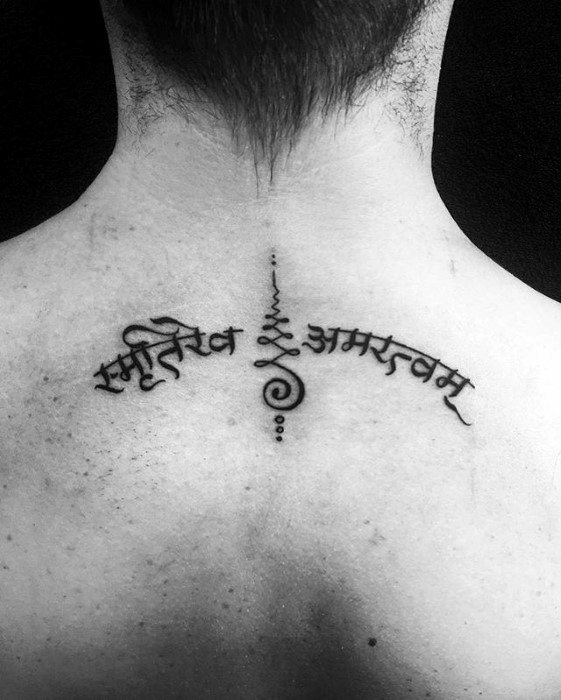 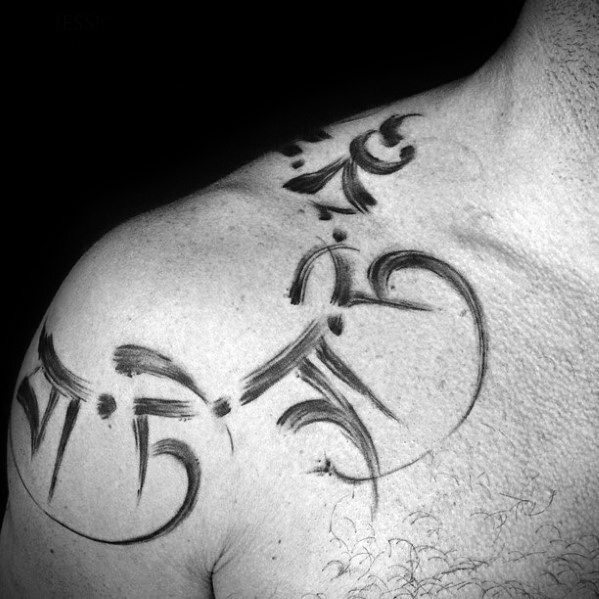 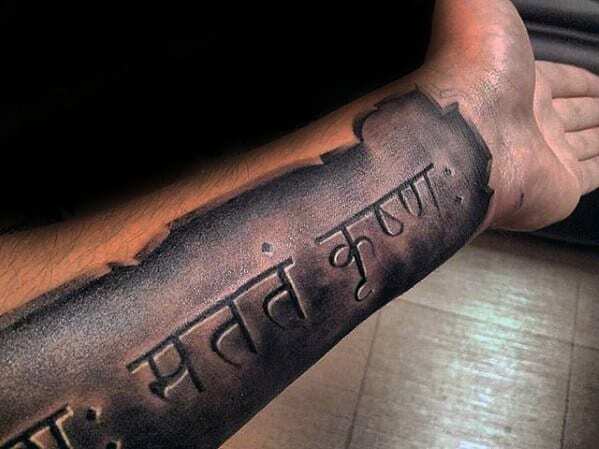 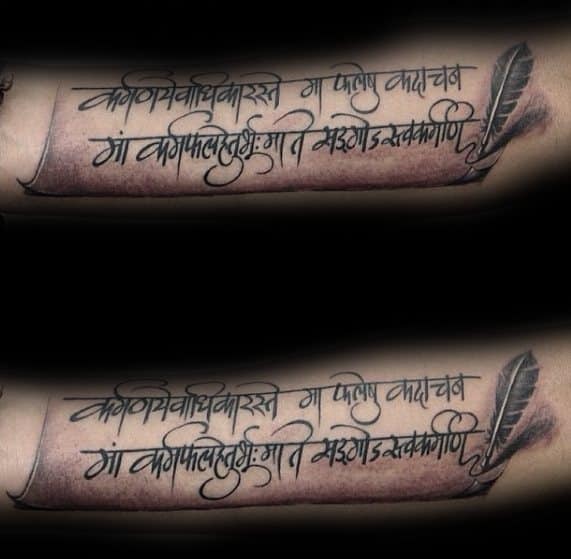 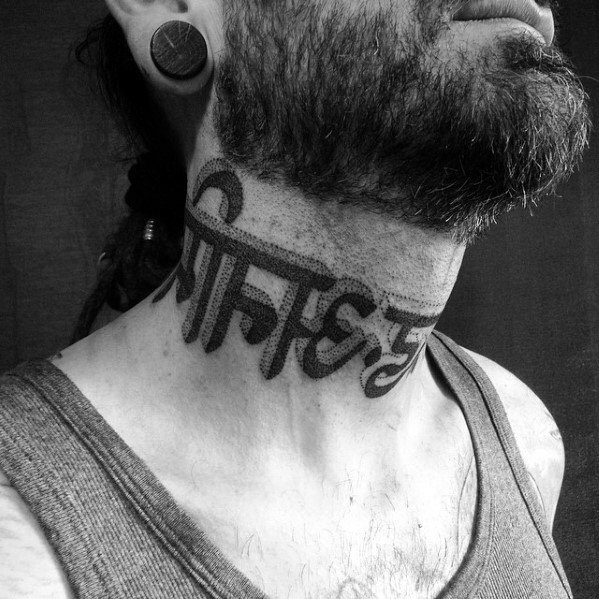 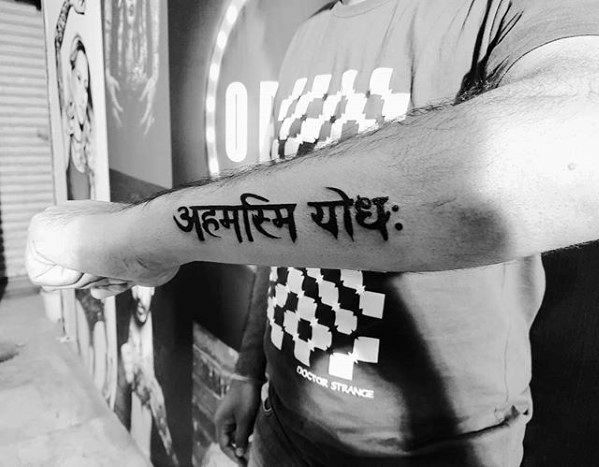 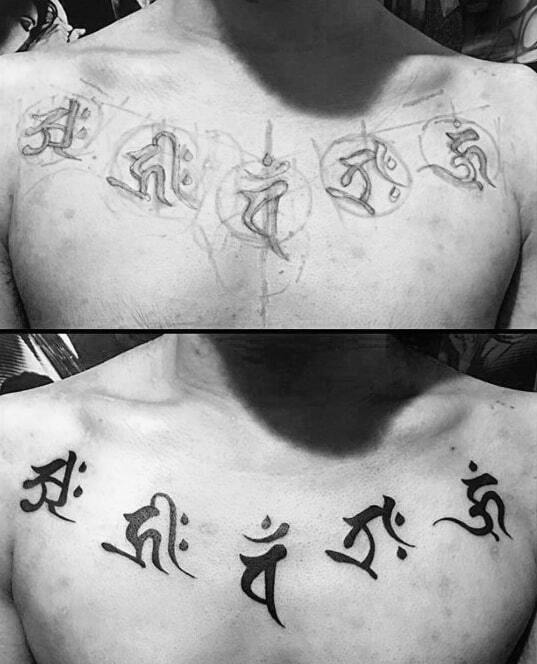 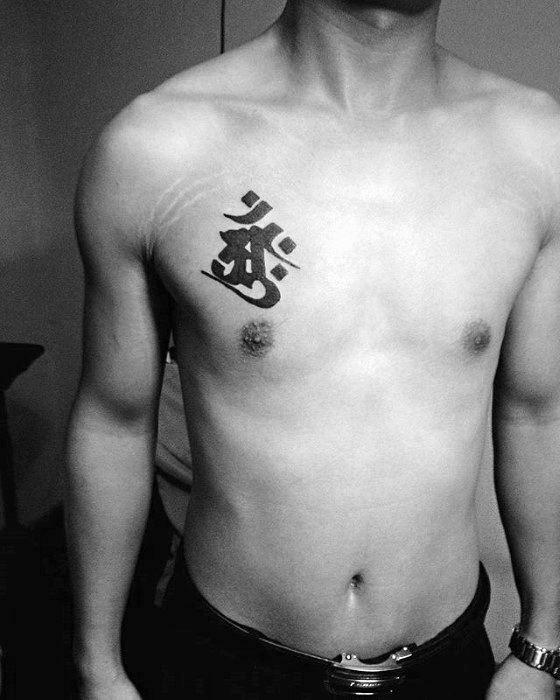 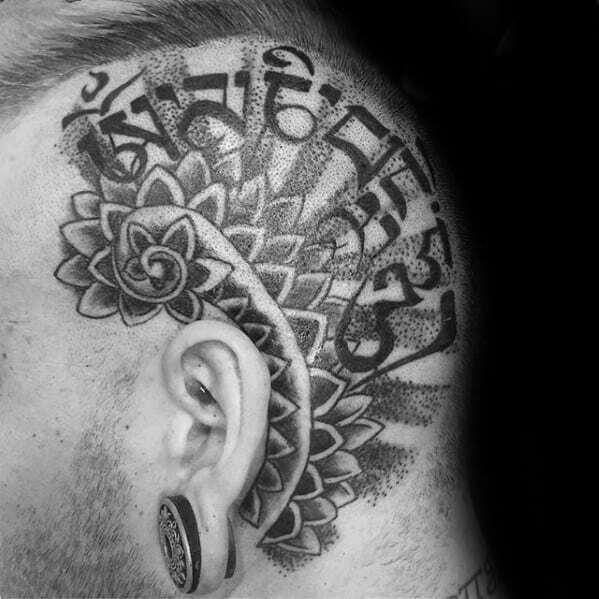 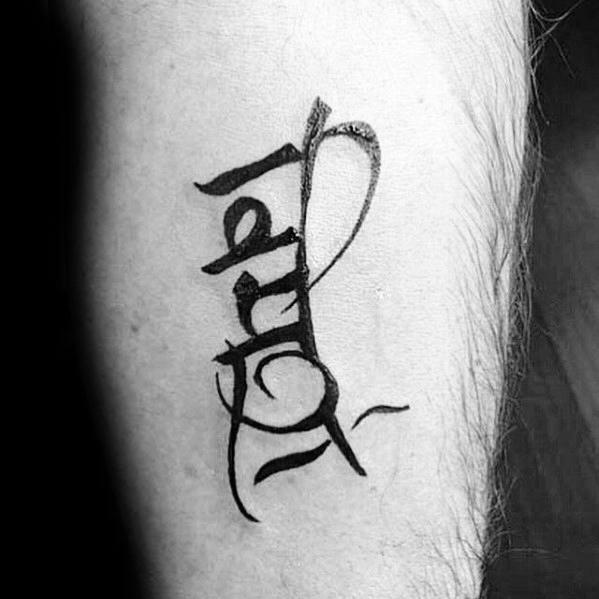 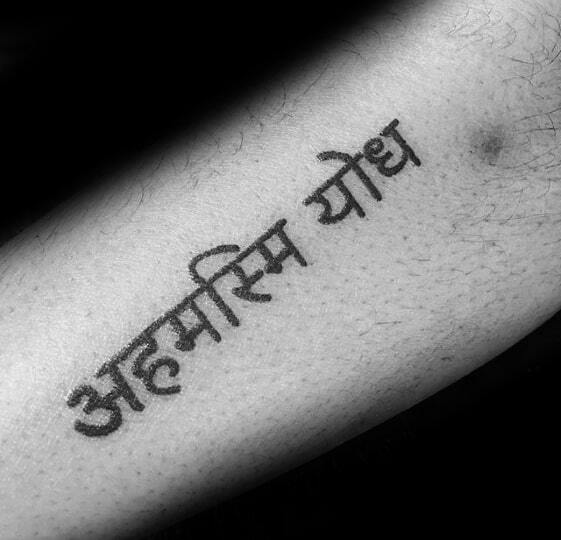 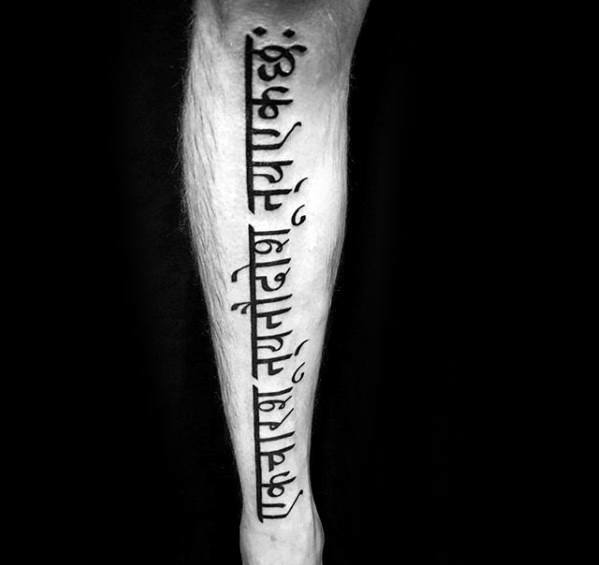 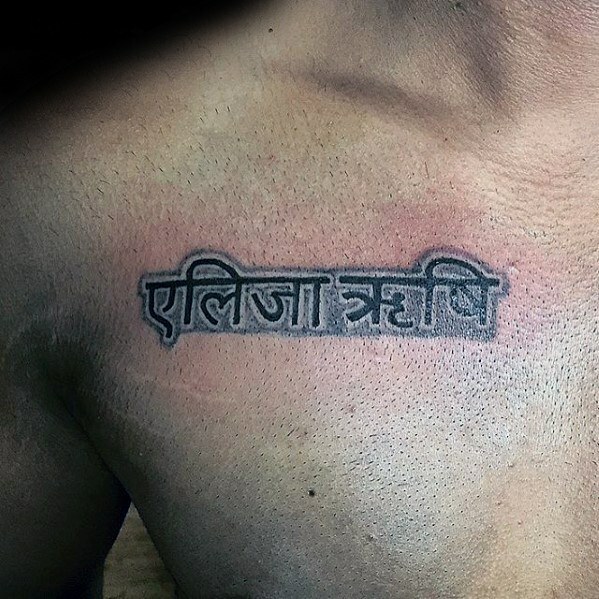 Names are popular Sanskrit tattoo choices, but because Sanskrit is a phonetic language, many factors can influence how a name should be written. 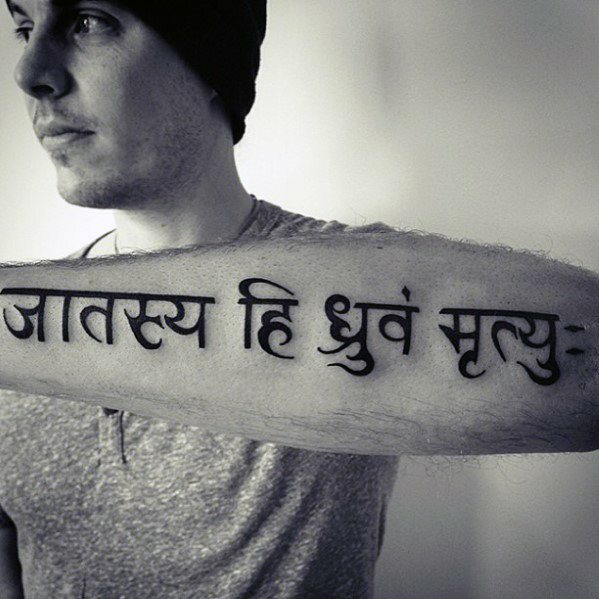 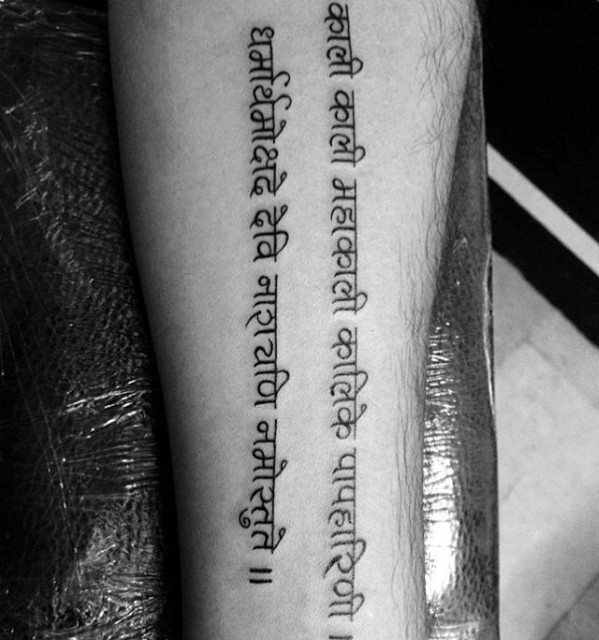 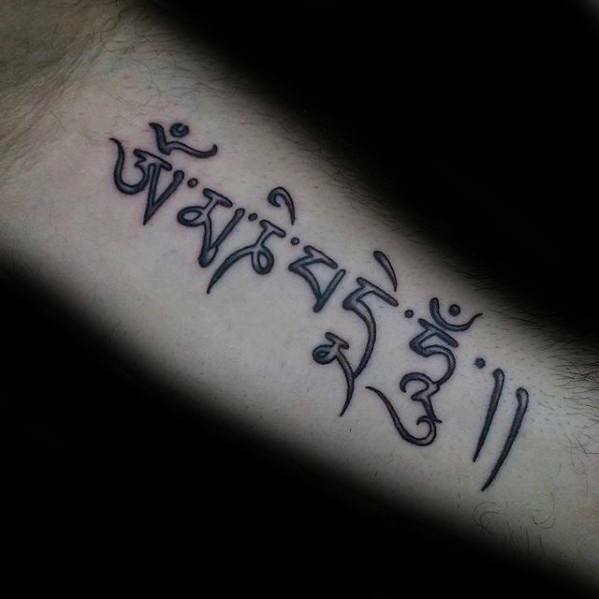 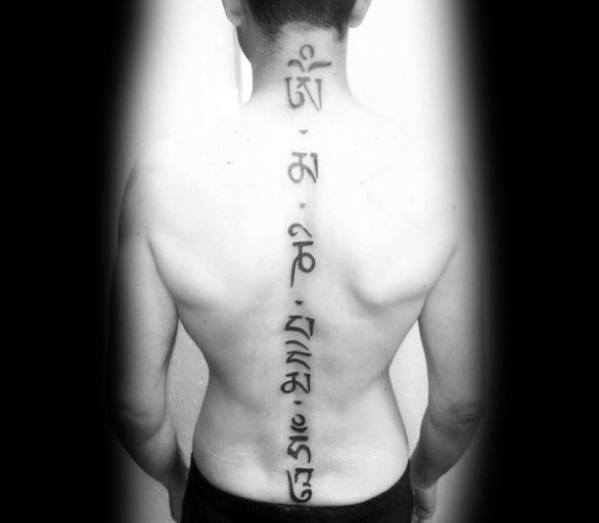 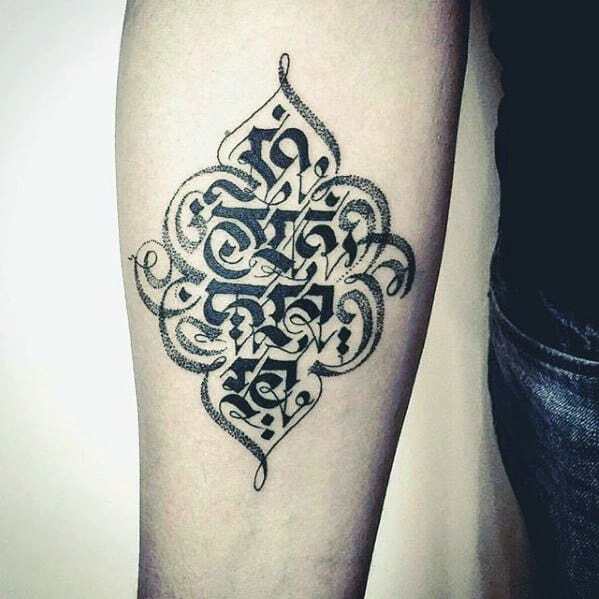 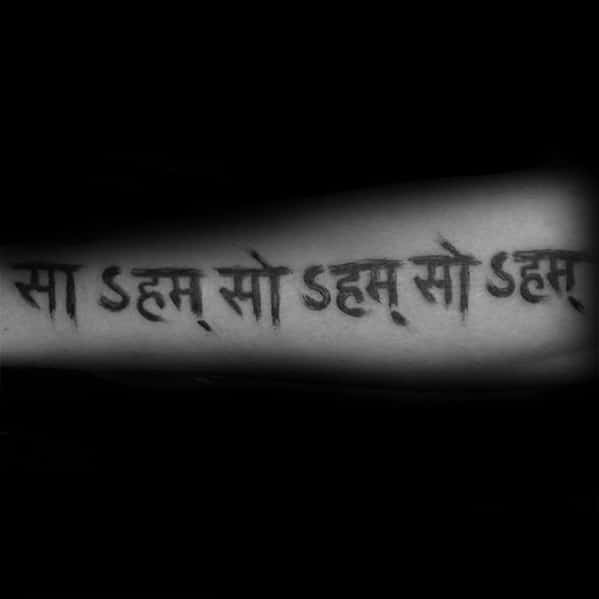 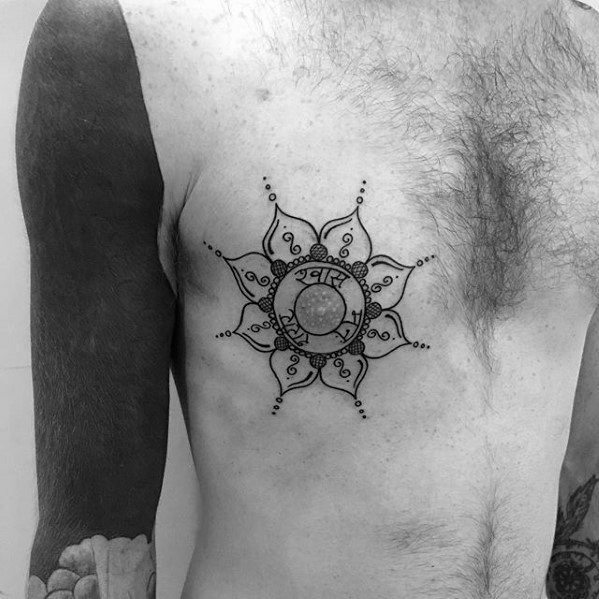 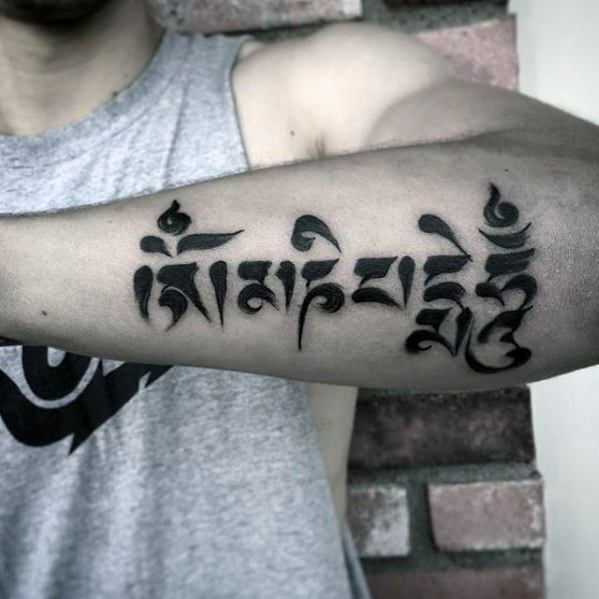 The same name can sound very different when spoken by an American person, a French person or a Japanese person, and this should be taken into account when considering a tattoo in Sanskrit. 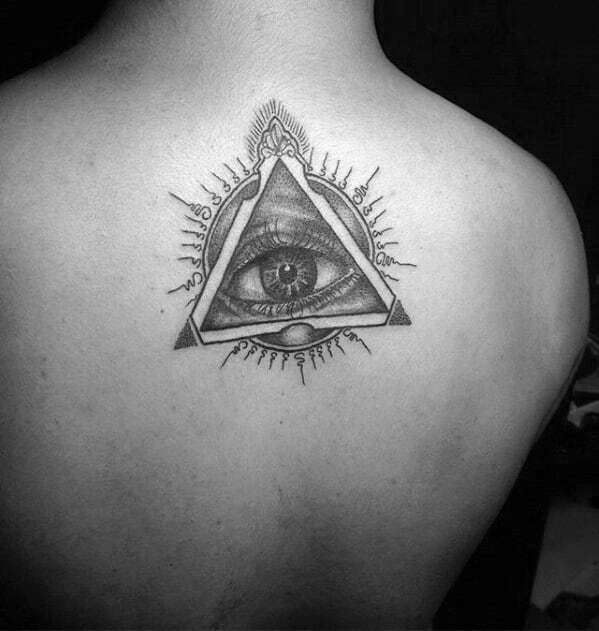 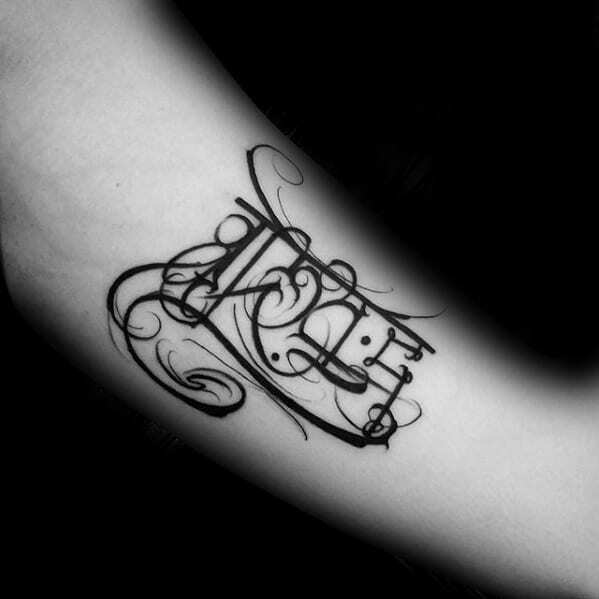 The client must decide not only how the tattoo should look, but how it should sound when read aloud. 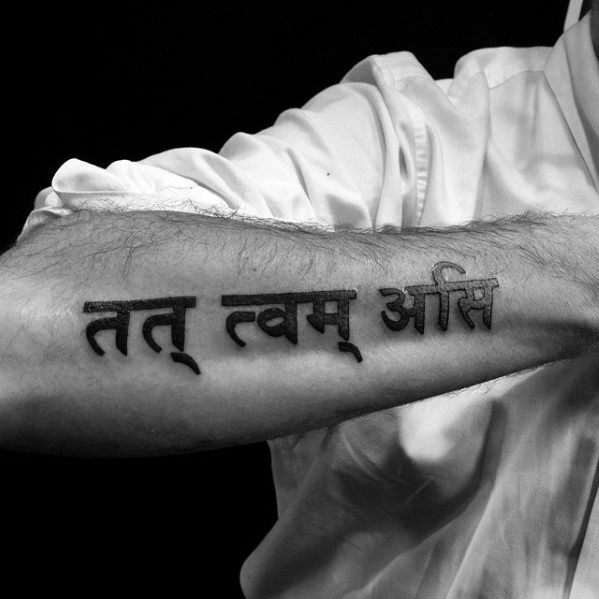 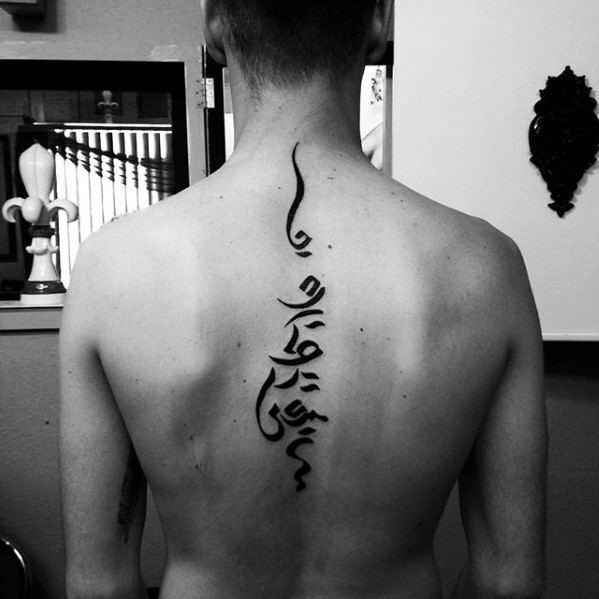 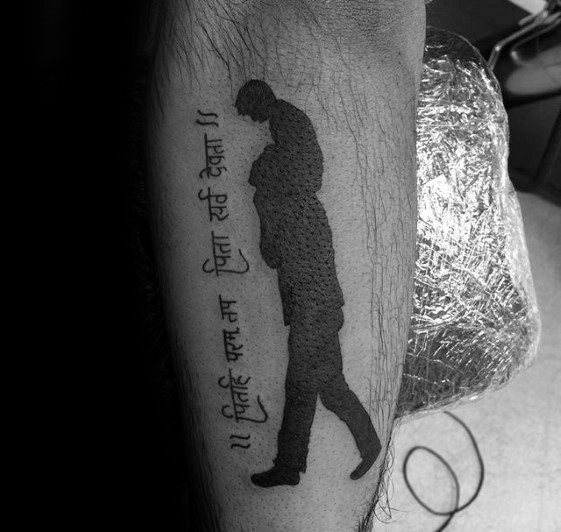 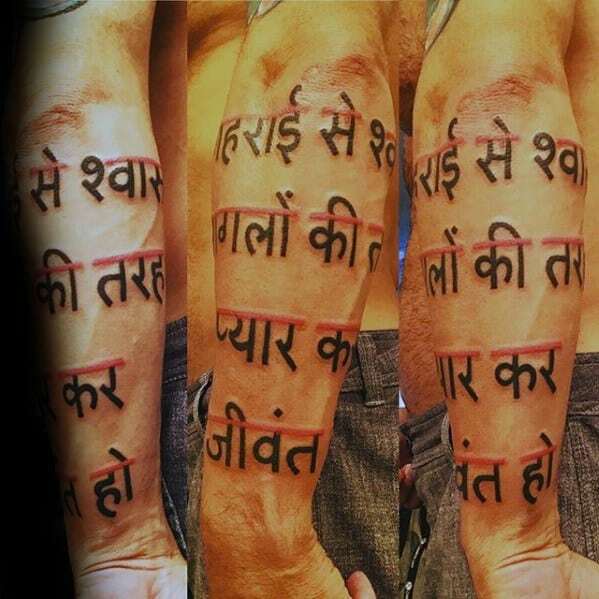 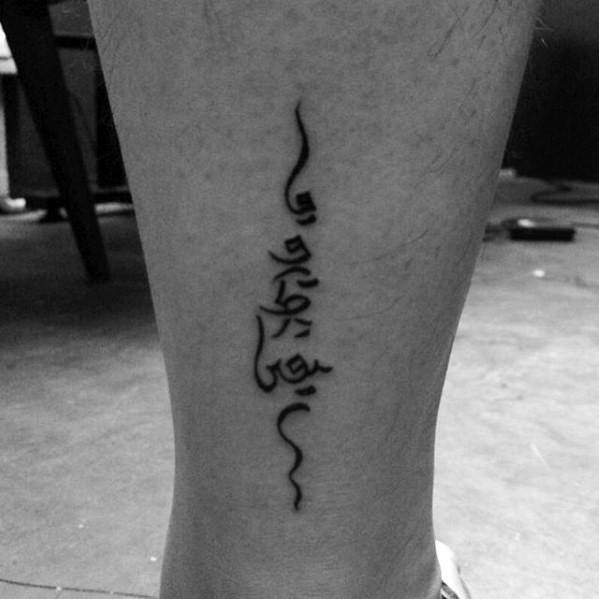 When an artist tattoos any foreign language, there is always a chance of translation errors. 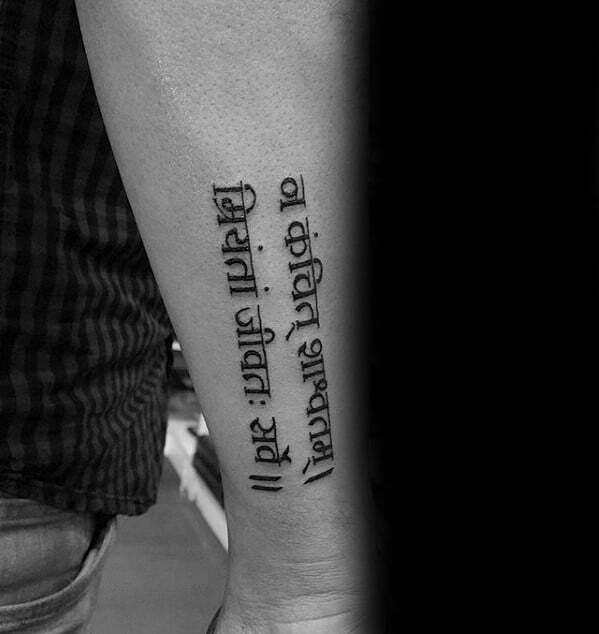 This potential increases when dealing with ancient languages. 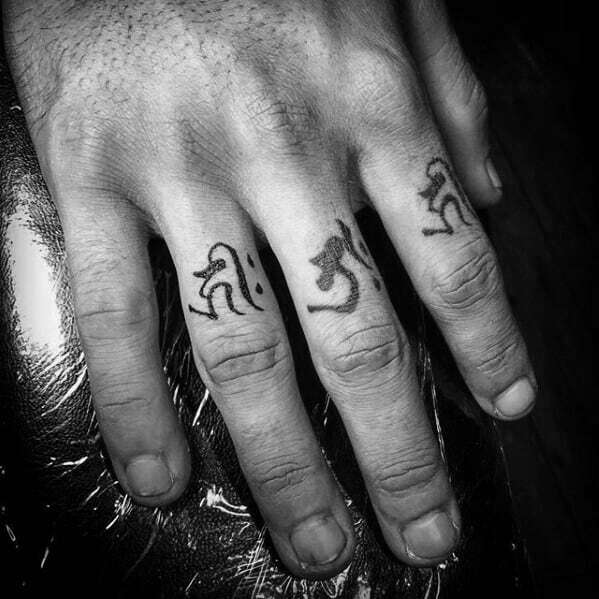 However, a skilled artist and a client who has done their research, and understand the liturgical language of Hinduism, should be able to work together to achieve the desired result.